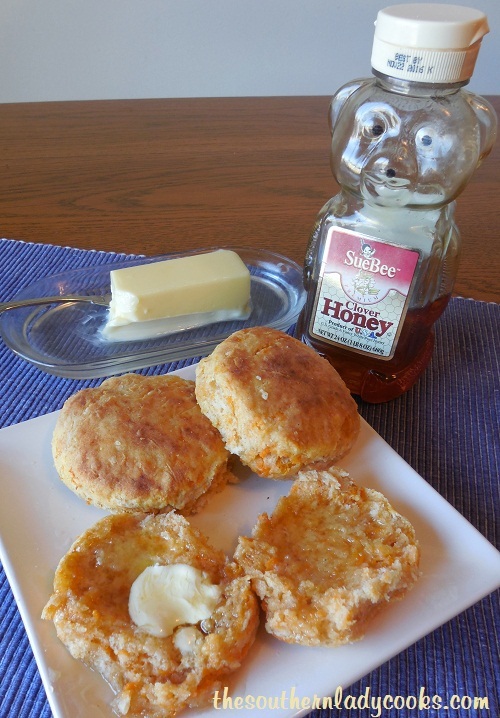 This recipe for Cheddar Zucchini Biscuits will be one you will make over and over again. I don’t know why each year I think I have to grow enough zucchini to feed several hundred people and end up with more zucchini than I will ever use. 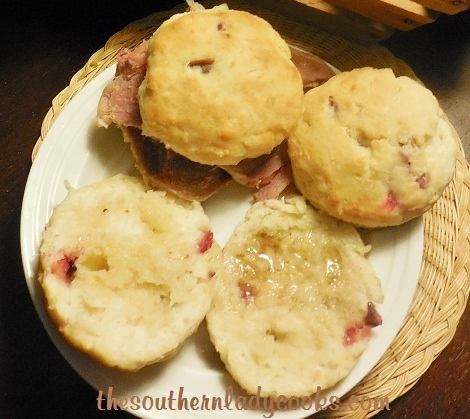 These little biscuits are delicious and go great with any meal. We love them for breakfast with bacon and eggs, they are great with soup for lunch and go with anything you have for dinner. You can freeze them and they reheat beautifully. This is a great way to use up some of that zucchini from the garden. In a mixing bowl whisk together flour, salt, baking powder, baking soda, garlic powder and thyme. Cut butter in small pieces and mix with flour until resembles small peas. Add the green onion, shredded zucchini and buttermilk and mix well with a spoon. Fold in the shredded cheese and mix. Spray a baking sheet with cooking spray. Drop mixture by spoonfuls onto baking sheet or you can flour your hands and roll into balls about the size of a walnut. Bake in preheated 450 degree oven 12 to 15 minutes until brown on tops. Makes about 2 dozen biscuits. Note: You can also use yellow squash in this recipe. Keep coming back to your website, absolutely fabulous recipes! I mad your coconut and pineapple cake, husband loved it and so do it again. Will be making more of your recipes! So glad you are enjoying the website Rita! Thank you for the kind comments.